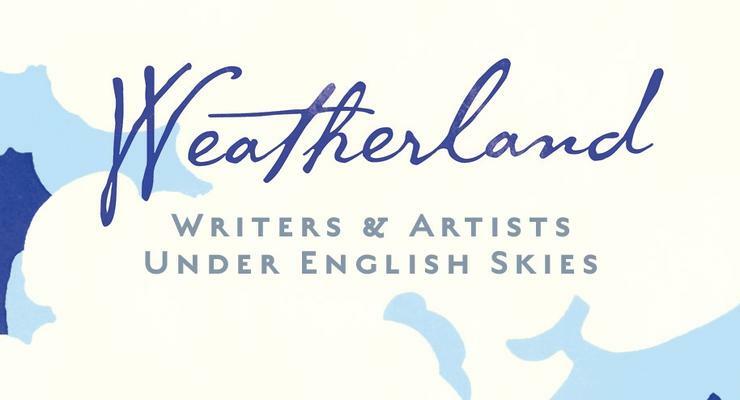 Alexandra Harris, Weatherland: Writers & Artists under English Skies. Thames & Hudson, £24.95. We may like to think that the English weather, cold, damp and unsettled, has been here forever but if so it is strange how long it was there before anyone noticed it. Take the gentle “breeze”, for centuries sailors gave the word a specific meaning: a counter-current of any strength from land to sea. Our contemporary, idea of the gentle breeze Alexandra Harris in her study of English weather writing dates from James Thomson’s weather poem, ‘The Seasons’ (1730). As for clouds, it was only in 1803 that a Quaker chemist Luke Howard proposed the distinction between “Cirrus”, “Cumulus” and “Stratus.” For centuries, the prose and poetry of weather was concerned with other things. In so far as the Saxons noticed the weather, it was to dwell on the cold: a typical tenth-century poet complained that “Sleet and snow fall and fetter the world / winter howls, then darkness draws on.” Early modern England was fascinated by rain: whether the sweet showers of April in The Canterbury Tales, the thunder that terrified Marlowe’s Tamburlaine or the “cataracts and hurricanoes” that King Lear imagines drenching England’s steeples. Subtle changes in the climate itself and in our societies have altered the way in which we observe the weather. Harris notes a greater interest in the wind from the seventeenth century. For Milton, weather began with Adam and Eve’s Fall, causing winds that “confound sea, air and shore,” and bring with them further extremes, “cold and heat scarce tolerable.” The wind was the agent of transformation – whether in the form of the return of the Stuart monarchy, or the underlying transition to capitalism – change as destruction. Two hundred years later, Shelley imagined a wind-powered balloon spreading its message everywhere and “annihilat[ing] slavery forever”. His ‘Ode to the West Wind’ developed the image, portraying the autumn winds as the carriers of revolution. After the defeat of the Chartists, clouds predominated, smoke, fog and pollution. The characteristic weather of our times, Haris concludes is the flood. She writes of climate change and the end of what we think of as English weather. Her book ends with George Szirtes poem ‘English Apocalypse’ (2001), imagining the burial of land from Lincolnshire to Land’s End, a catastrophe that life itself seems to be set on copying.